Chick-Fil-A is joining the ranks of many other fast food restaurants by appealing to the younger crowd. The key to winning over the millennials apparently is the use of an app. Fast food restaurants are racing to get consumers on their digital marketplaces, and the best way to do so is by offering free food. The “sign-up and get free food” method has gotten millions across the nation hookups over the last few months. No one over here is complaining. 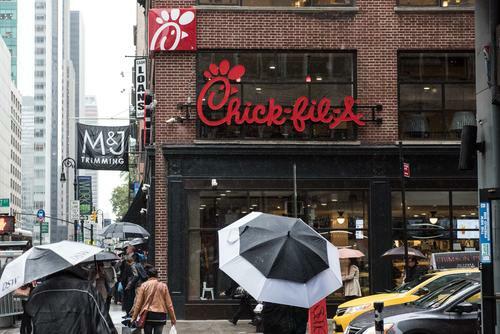 Chick-Fil-A is giving away free eight-count Chick-fil-A Nuggets to customers who create, or sign into, their Chick-fil-A One account with their mobile app. The deal is available from August 30 to September 29 at the fast food chain’s more than 2,300 restaurants nationwide. “We want to thank the millions of customers who have joined Chick-fil-A One on our mobile app, and this is just a small way to show our appreciation for dining with us,” stated Senior Lead of the Chick-fil-A One Membership program Kaitlyn White. The recently redesigned mobile app introduces tiers (Chick-fil-A One Member, Chick-fil-A One Silver Member and Chick-fil-A One Red Member), and offers rewards for purchases. You can also place an order on the app, and pick it up at the Chick-fil-A drive-thru.